The Design Studio by Azza Fahmy, Cairo, Egypt. Azza Fahmy, set up her eponymous jewelry brand in Cairo in 1969, under the tutelage of the master goldsmiths of the spice-scented Khan el-Khalili, Fahmy learnt the Egyptian way of making jewels. It has since become an international business, run today by Azza and her daughters. She also happens to be one of the few women in the jewelry industry, and let alone in the Middle East. But Azza Fahmy had a bigger vision; create a Jewelry school in Egypt and the Region in order to provide guidance and ideal education to all potential Jewelry Designers in the Region. Estela Saez was chosen as a creative director and co-founder of The DSAF Located in El Fustat, one of the Oldest Areas of Cairo and within the Art Center Darb1718. 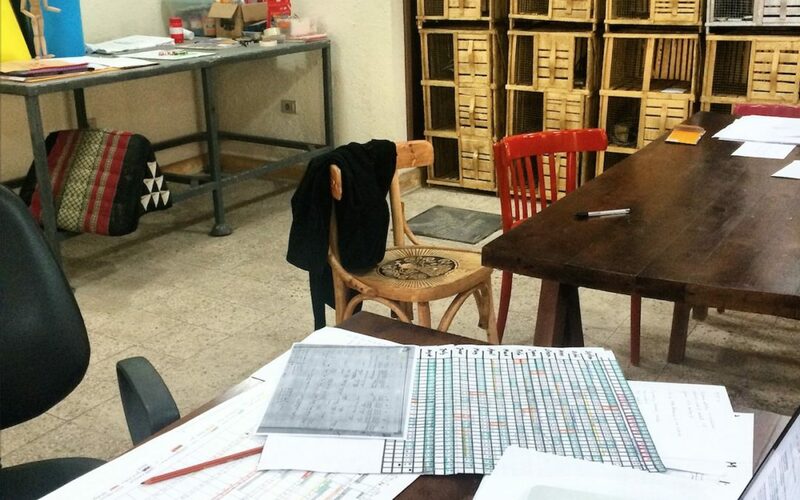 The school is partnership with ALCHIMIA Contemporary Design School in Florence. It offers students and upcoming entrepreneurs of all ages and nationalities specialized Jewelry courses, design and making. As of skills that are necessary to succeed in the field permitting individual expression. During this adventure Saez upgraded the school as a transfer-knowledge institution, while spreading the seed of how to become a jewelry maker and Designer from several perspectives. She traveled and taught in the Region; Dubai, Kuwait Jordan are some of the examples. The project achieved wide-reaching reputation and it is a reference in the Arab world as such. During her time as a directorship, the UN women for Middle East and Mediterranean countries pointed out the project as an example on how Jewelry and Design can play an essential role to change life perspective.